for doing the things that you want to. No public ocean beach & nobody passing in front of the property! Sit down, relax and let nobody disturb you. 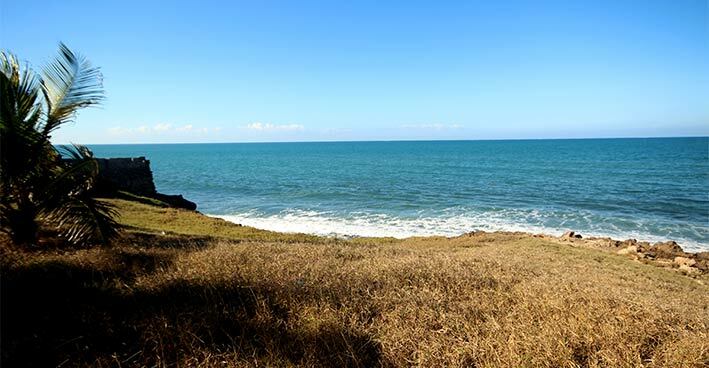 Cozily nestled along the shore the 3-room cottage is at high tide fully exposed to the sea spray due to its first sea front position..
Paved exit road along the utility houses, paraell to the u-shaped brick wall fenced property brings you fast to the sea front residential house. The colonial beach house has certainly its charme and attractivity, but its position is worth for a new construction of a building accordingly to your taste, quality & style! Zanzibar is only 40 kilometers in North-East direction - the lights can be seen at night. Dar es Salaam city 24 road kilometers to the South. 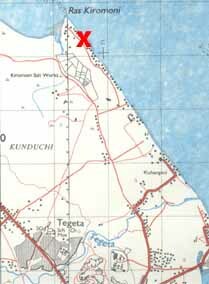 This particular cape "Kiromoni" is since ancient times a preferred place for human settlements. 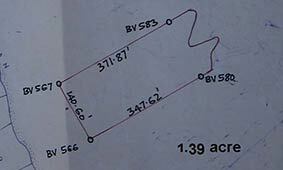 We offer over 120 length meters here - shown in "feet" on the site plan. There is no place like home. Except the beach. Kind of waterfront Rocky sea frontage with sand beach front when the tide is low - erosion-proof! For more details, information's and site visits please contact us.